For All You Travel Needs. I recommend quite a few product that are spread around this website. Instead of trying to search them individually, This page has direct links to reviews of products I have used or own along my travels. 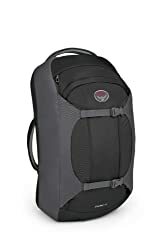 The Osprey Porter - Best Travel Backpack you'll ever own.